Woods and I are getting ready to descend back to Swift Creek and Mumford Meadows. 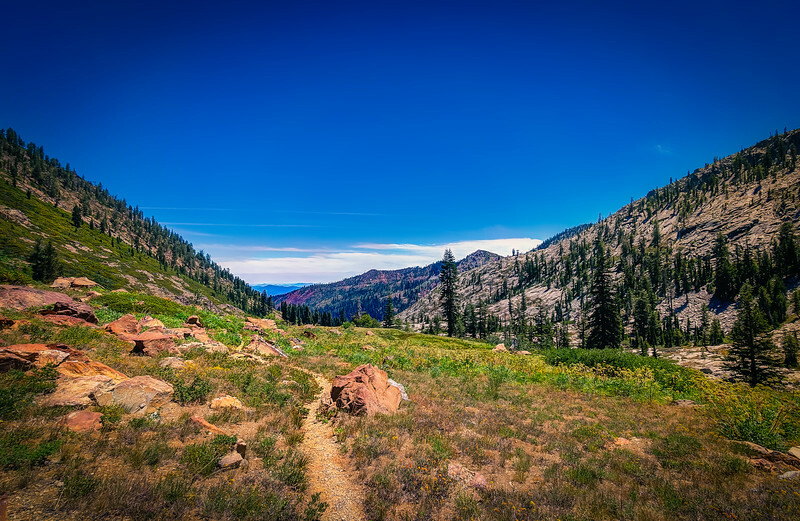 Located off the Canyon Creek Drainage in the Trinity Alps Wilderness. With Mt. Thompson in the distance. 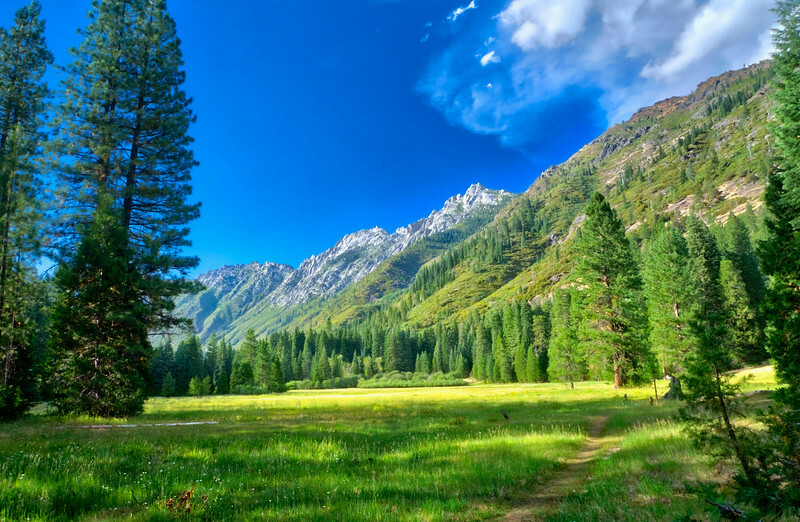 Morris Meadow is located along the Stuart Fork Trail in the Trinity Alps. 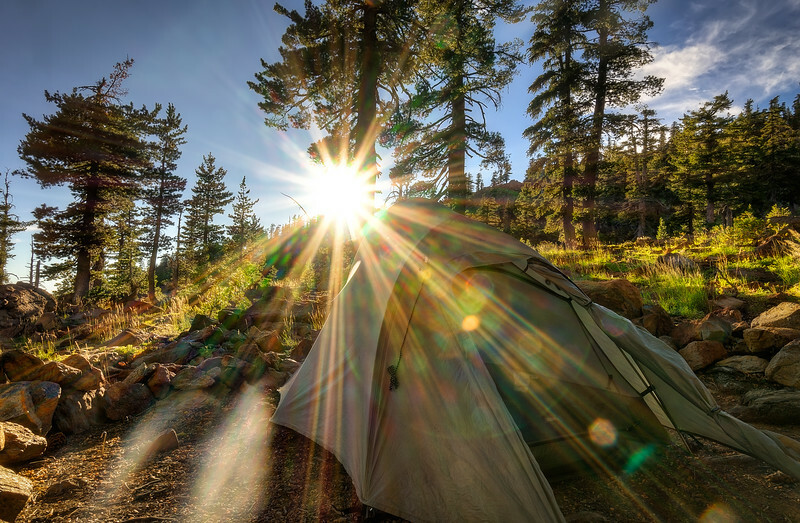 It's a popular camping destination so I recommend going midweek. 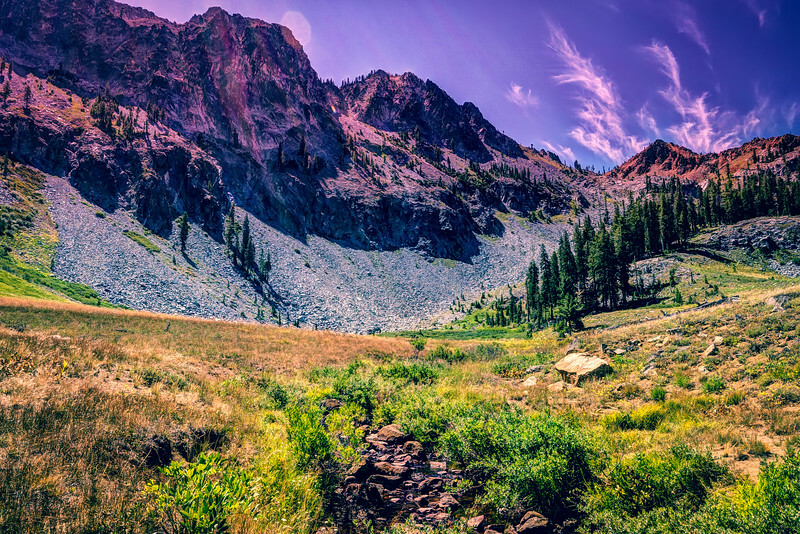 Taken from near our campsite in the Stuart Fork area of the Trinity Alps. 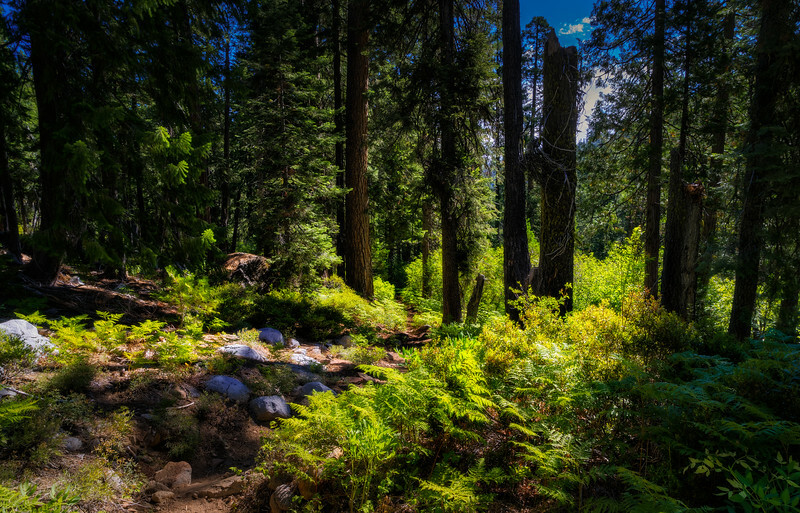 Taken from just below the Canyon Creek Lakes. Sawtooth Peak soaks up the last rays of sun on the other side of the canyon. 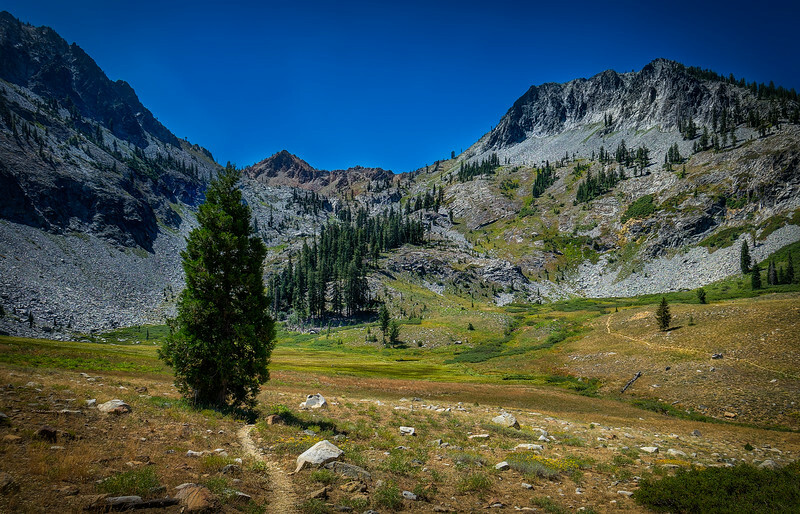 After hiking or should I say scrambling up the Boulder Creek Trail, we finally reached the Boulder Creek Lakes and amazing views of Sawtooth Peak. Taken from just outside one of the best camps ever. Taken from just below Lower Canyon Creek Lake. 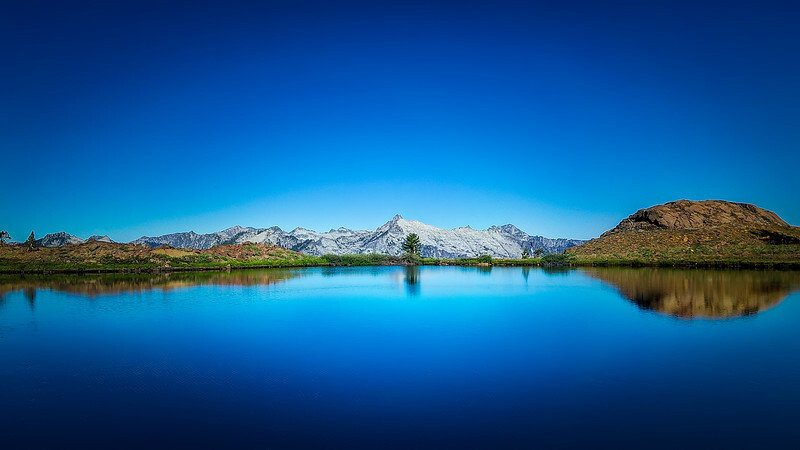 Taken from the south end of the lower of the two Canyon Creek Lakes. Up over that next ridge is the upper lake. Back in the lush, green forests again must mean we are getting closer to the Swift Creek junction. The trail down Granite Creek towards Granite Lake for our last night's stay. On a clear day you can see Shasta from here. From here I can see half of the Four Lakes Loop. Deer Lake is in the bowl to the left of Mt. Silago (center). Luelle Lake is in the bowl to the right of Mt. Silago. The other half is on the other side of those ridges. Almost back to where we first started the Four Lakes Loop down in Upper Deer Valley. We just climbed the last ridge of the loop on our way from Diamond Lake and now are looking down on Luelle Lake, Deer Valley, and across the canyon is Granite Pass where we are headed. 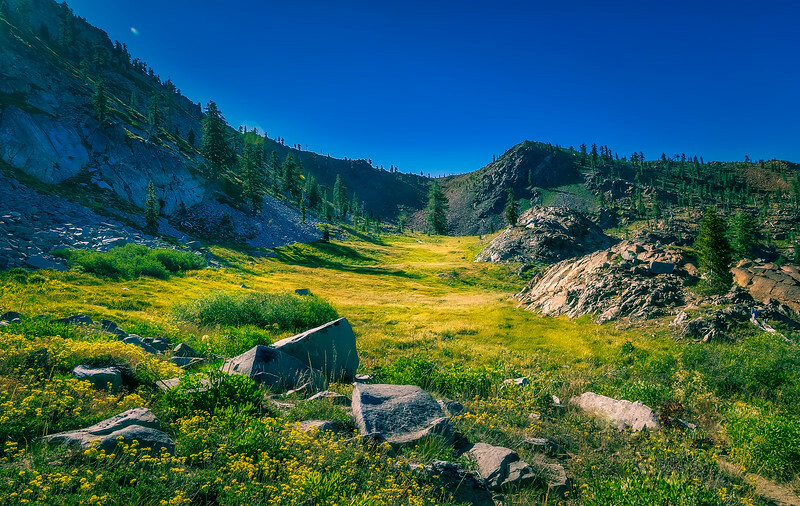 A beautiful meadow just outside of Diamond Lake along the Four Lakes Loop. 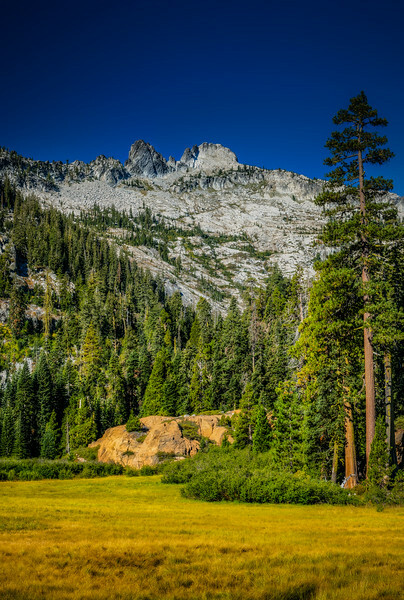 You'll notice the peak and ridge at the end of the meadow and below that is Diamond Lake. 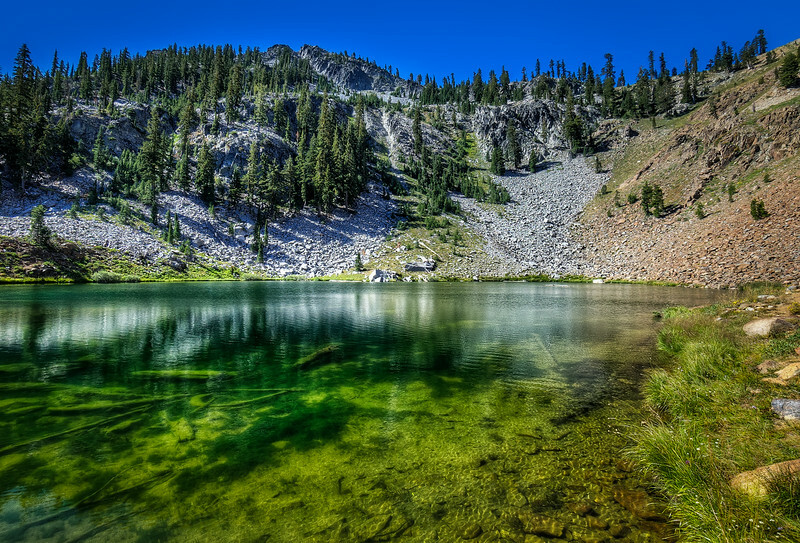 Diamond Lake is one of the most beautiful infinity lakes I have hiked to. Once you hike to lake level it is really cool. I'd love to stay here next time and go for a swim. 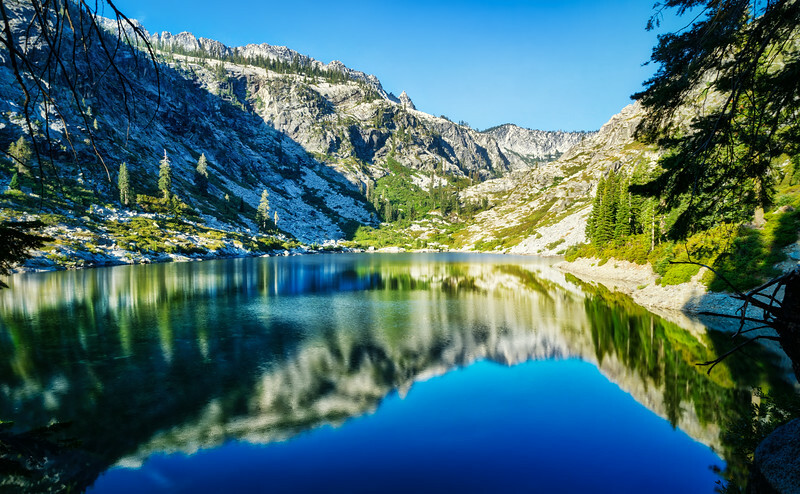 Hiking the Four Lakes Loop from Summit Lake to Diamond Lake left us with spectacular views of the Stuart Fork Canyon and the heart of the Trinity Alps. 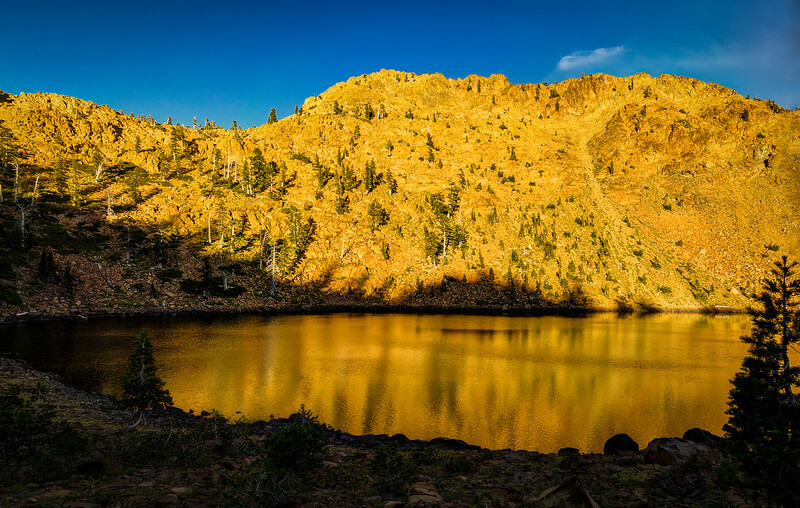 Summit Lake and it's red metamorphic rock made for some amazing shots at sunset. 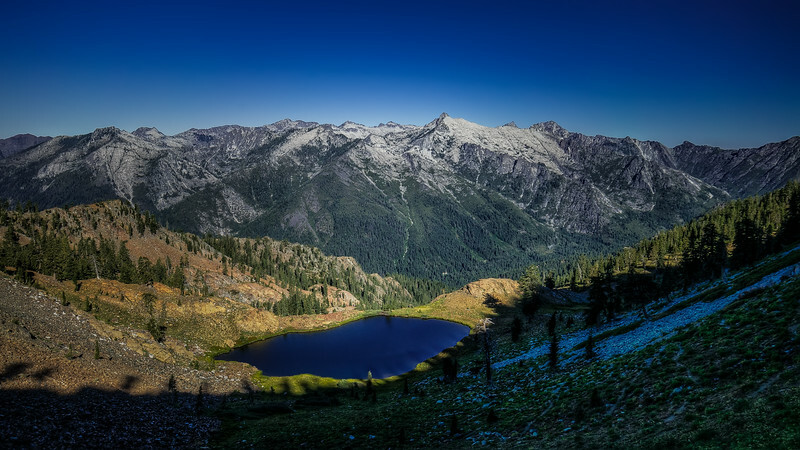 A beautiful sunset from high up in the Trinity Alps at Summit Lake. 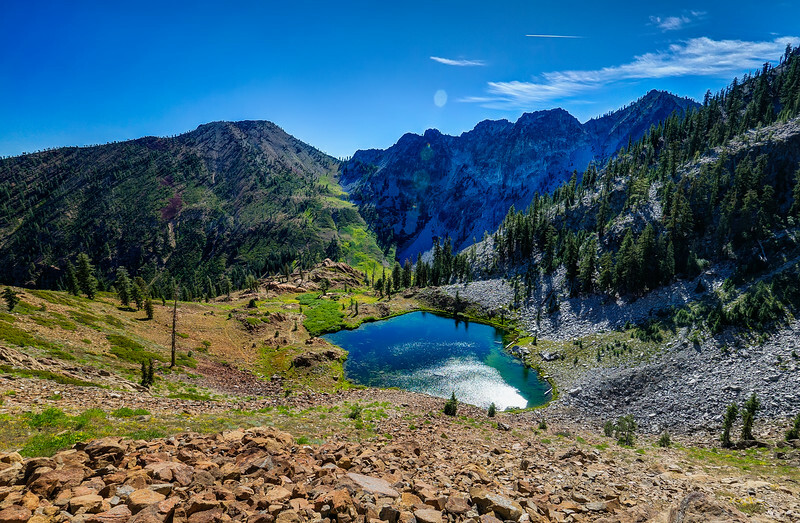 After hiking up from Upper Deer Valley, you reach Deer Lake which is just below Deer Pass. The Four Lakes Loop will go just below the pass and traverse across the top of the bowl to the other pass just off the right side of the picture. 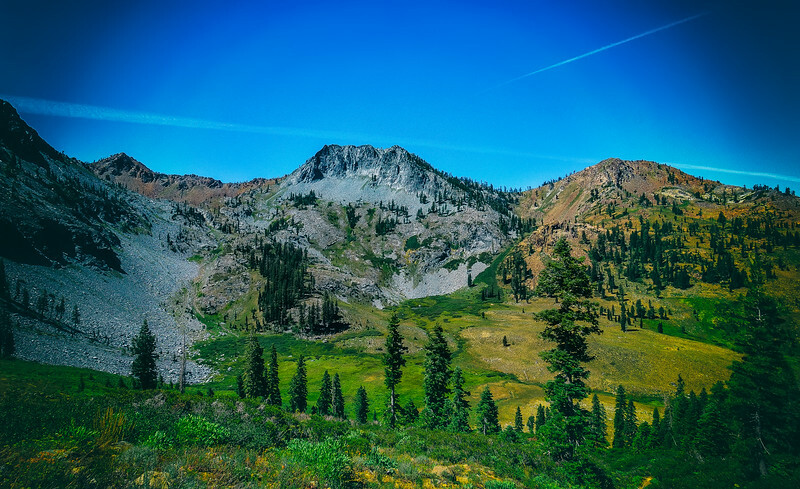 After dropping down into the valley below Deer Pass, Deer Lake, and Silago Peak you are treated with beautiful views of the contrasting geology above you.